Kaden was the top selling horse at the RCMP Foundation auction, going for $35,000. The RCMP Foundation recently put 36 horses from the world-famous RCMP Musical Ride Breeding Program on the auction block in September and October, raising more than $500,000. In a first, 18 of the horses were sold during a 30-day online auction, which ended on September 23rd. Buyers from across Canada and the United States spent a total of $236,000. The top selling horse was an eight-year-old broodmore in foal to Dubai, named Diamona E. She was purchased by Pamela Day of Edmonton, Alberta. For an encore, 18 more select RCMP Breeding Program horses were sold for $333,000 at a live auction on October 13th in Ottawa, before a sold out crowd of bidders and Foundation donors. The top selling horse of the auction overall was Kaden, who went to an amateur dressage rider in the U.S. for $35,000. The five-year-old mare carries famous bloodlines such as Donnerhall, Escudo I and Weltruhm. The sale’s average price was $18,000 per horse, which is a significant increase over the $10,000 average achieved at the last RCMP Foundation auction in 2015. The Hanoverian horses listed for 2018 RCMP Foundation Horse Auction ranged in age from yearlings to 16 year-olds. There were broodmares, broodmares-in-foal, and retirees from the Musical Ride, and some that did not meet Musical Ride conformation and colouring standards. 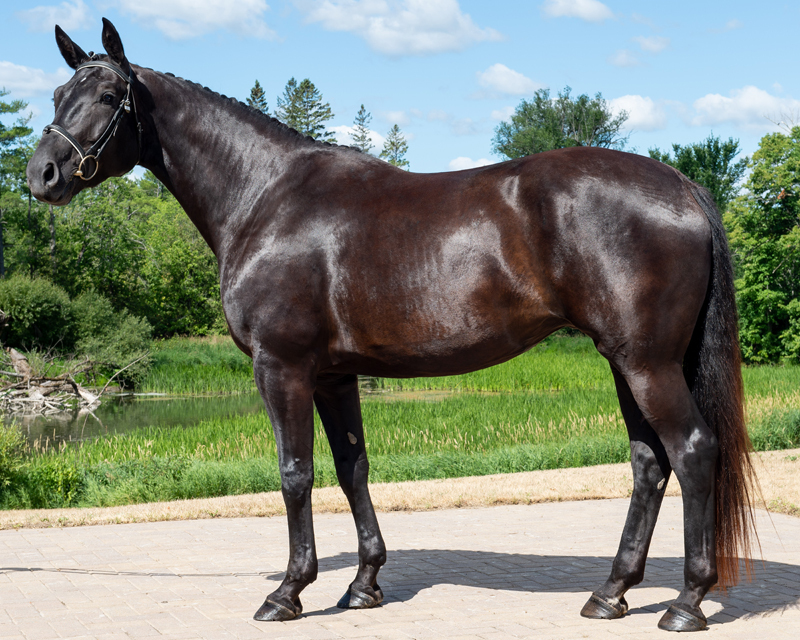 Because these horses are bred specifically for the world-renowned RCMP Musical Ride, they are versatile and athletic warmbloods. The proceeds from the sale will be used to support the breeding program, and to deliver programs for vulnerable children and youth in Canada.